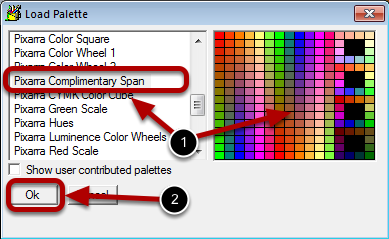 Right click a palette tab. 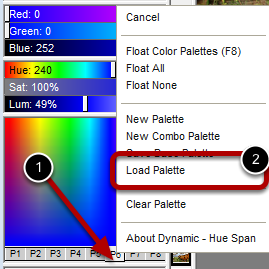 Select the Load Palette menu item. Choose the Palette. It is shown as a preview in the right side panel. 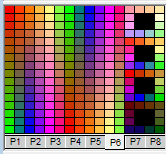 The palette is now loaded.